Learn how to capture what you see on paper! With plenty of studio time working from set-ups, veteran artist/ teacher Heather Lewis, will introduce you to age old exercises and techniques. 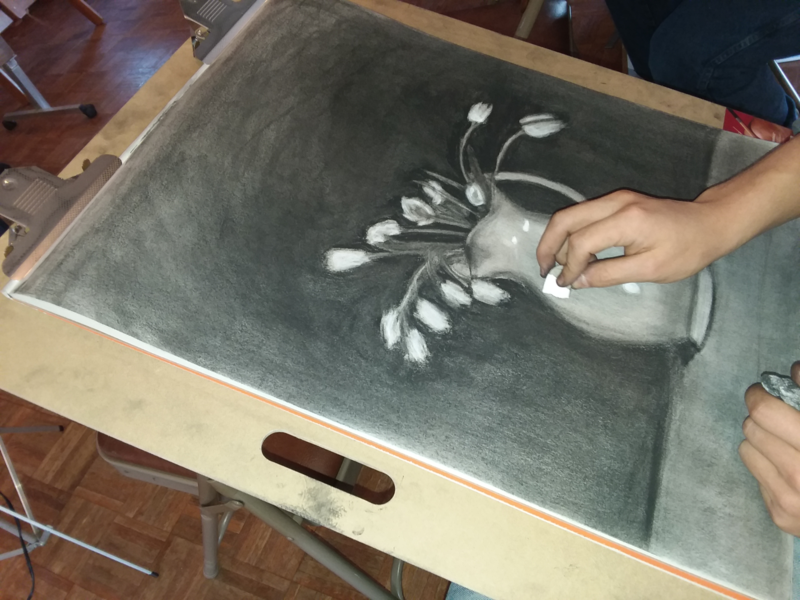 Gain confidence as your drawing skills develop! All skill levels welcome. There will be a few breaks so please pack a lunch. Coffee and tea will be provided during the break. Heather Lewis possesses a life-long immersion in the arts beginning in Delaware with artist parents, fine art training at The Philadelphia College of Art, and over three decades of actively creating art for exhibition and sale. PASSIONATE about helping others reconnect with their own creativity, she is a seasoned studio arts instructor and creativity coach who inspires learning through her engaging and encouraging teaching style. She has taught and conducted workshops throughout the northeast for all different age levels from pre-school to college. She is an adjunct studio arts professor at York County Community College. “As with her paintings, Heather’s classroom instruction serves as a magical conduit through which others discover their own dreams, visions, images, and feelings. She creates a learning environment where her students feel safe to explore and, simultaneously, challenged and stretched to their highest potential. Heather truly embraces and models the belief that her classroom provides the venue to set the creator in each of us free. “ Susan M. Vitale. REFRESHING and ORIGINAL, Lewis masterfully captures and interprets the beauty of the natural world around her, infusing it with a certain emotional vitality. She has exhibited extensively in her native Delaware, central New York, and throughout New England, with work included in prominent private and corporate collections. Heather Lewis is a long time resident of the Maine seacoast which is a constant source of inspiration for her art. Get the latest info on class offerings, events, and more!